I have sort of a fascination with lighthouses. Throughout history, they've always symbolized a beacon of hope and strength, as they guided sailors to safety throughout the night. It's pretty remarkable! They definitely remind me of what Psalm 27 tells us. Since the Lord is our strength, we never need to be afraid. 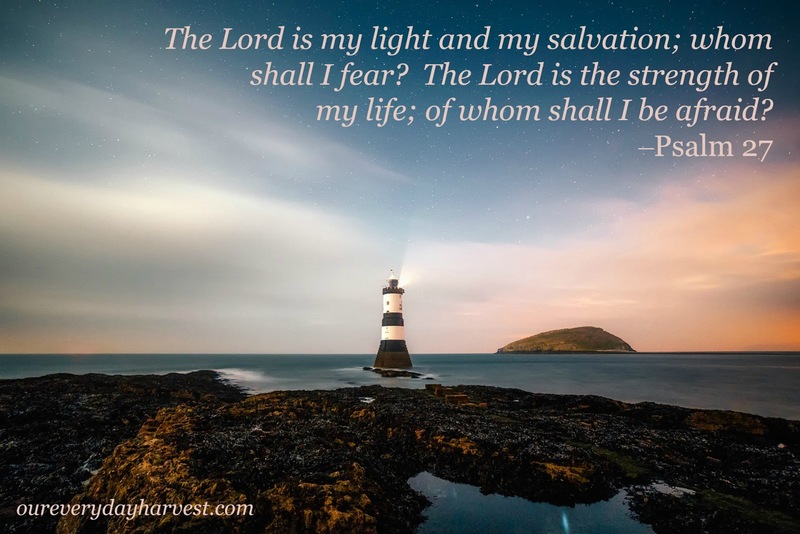 For He is always there, lighting the way to guide us and bring us to salvation.